The terrace from which this shop is formed was first recorded in the 1841 census and was known as Adelaide Buildings, probably after Adelaide, Duchess of Clarence, who had visited the town in 1827. 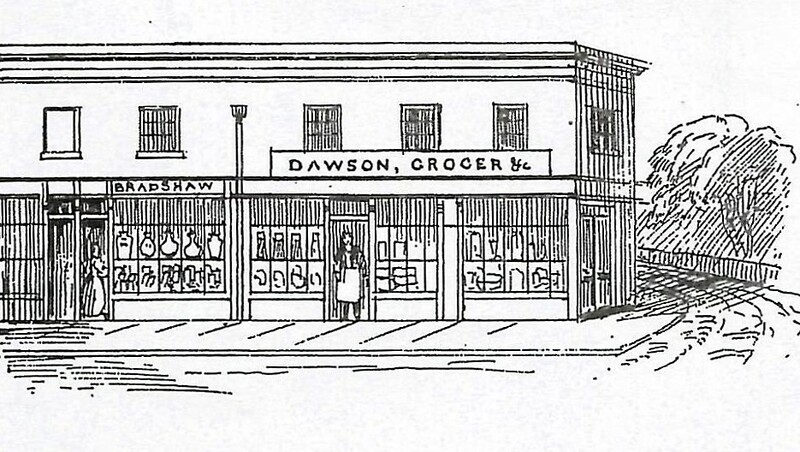 ​In 1841 numbers 1 & 2 Adelaide Buildings were occupied by a grocer's shop belonging to Mr Stephen Dawson and in 1845 the shop featured in George Rowe's guide to Cheltenham. ​George Rowe wrote "Continuing our walk up the Bath Road, we pass the shop of Mr Dawson, Grocer and Confectioner, who is well known for supplying the table with the necessary requisites for enjoyment of the best quality." By the mid 1850s the grocer at 1 & 2 Adelaide Buildings was called Thomas Tibbles, who traded in tea, bread, flour, tobacco, snuff and shot. 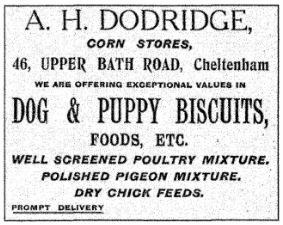 A.H. Dodridge sold poultry and pigeon mixtures as well as dog and puppy food. These were kept in large containers in the shop and were served to customers in brown paper bags. The property had a large cellar in addition to storage space at the rear. 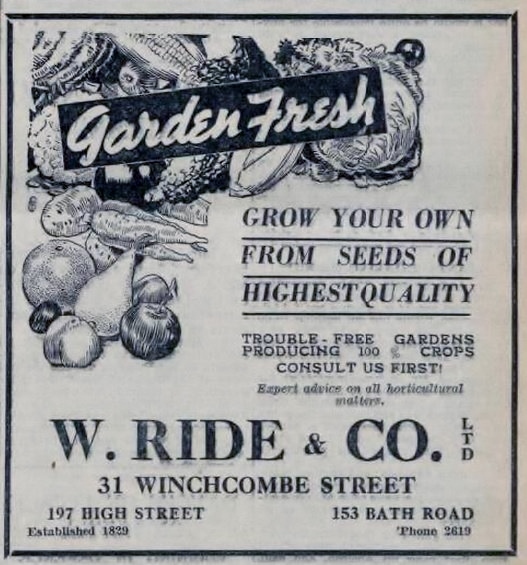 By 1926 Dodridges had sold to William Ride & Co, whose main premises were near to the former Odeon cinema in Winchcombe Street. Rides had two working white shire horses that they entered into competitions. One of the horses was once waiting in the Bath Road, harnessed to an empty wagon, when something “spooked” it and it bolted. The horse and wagon were only brought to a halt near to the Norwood Arms - but not before it had demolished a few lamp posts on the way! In March 1953 William Ride & Co was offered for sale and was purchased by Oldacres, a supplier of animal feed from Bishops Cleeve. This company was founded by farmer W.J. Oldacre, who opened his first shop in Winchcombe Street in 1907. Since the Bath Road property was in poor condition and required major repairs, Oldacres decided to sell it and the shop changed trades sometime around 1963, for the first time in more than forty years. The Diamond Sanitary Laundry Company (Cheltenham) then moved into the property, having been established in 1879. This became a branch of the Kington Laundry, which was eventually owned by Paragon Laundry, and remained here until late 1969. 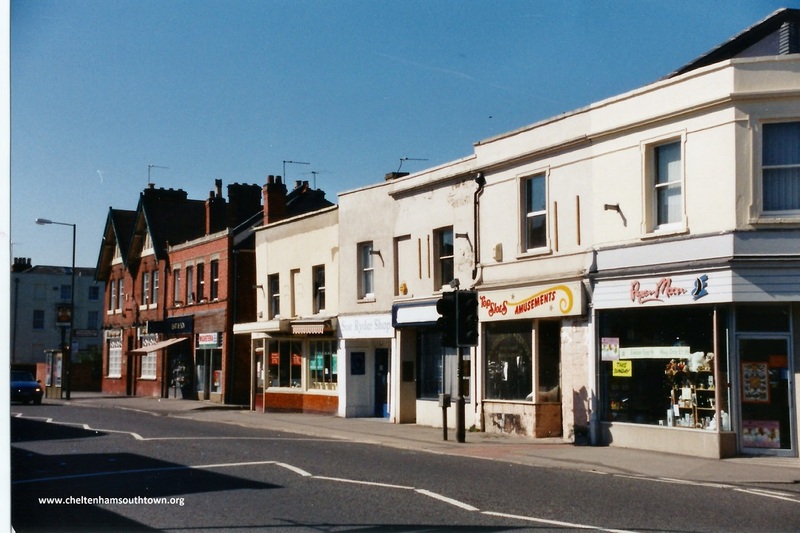 There followed a short period when this corner site was occupied by the English Mat Company, trading as Beasley Carpets, and from about 1972 by the Cotswold Kitchen Centre. In 1989 it became a greetings card and gift shop called Paper Moon. 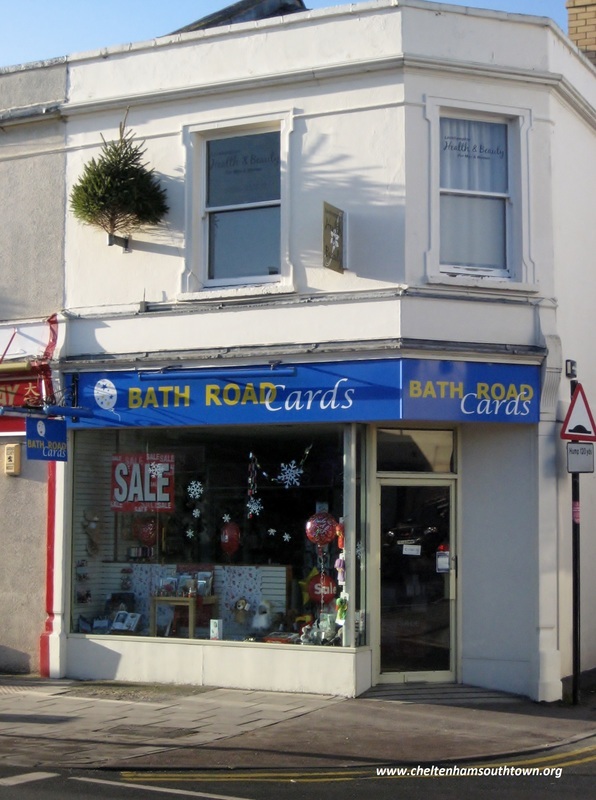 Now owned by Mr Merrett, the business was formerly known as Hallmark Cards and, since May 2013, as Bath Road Cards.